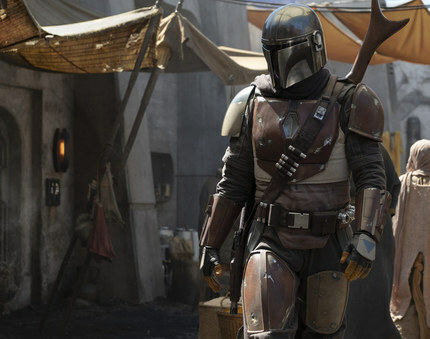 Last night Jon Favreau released some details about his upcoming Star Wars TV series, the first live action series for the franchise called The Mandalorian. Just moments ago the first image from the series was released of the titular character, the Mandalorian. There they are to the left, definitely looking Mandarlorian-like. Favreau will write and executive produce the series for Disney's new streaming service coming up in 2019. Star Wars veteran Dave Filoni (Clone Wars and Rebels animated series) will direct the first episode then hand over the reigns of other episodes for other directors while he joins the executive producing branch. So far it is a very impressive and inclusive list of talent. Deborah Chow (Jessica Jones) and Bryce Dallas Howard (Jurrasic World) lead the charge for the ladies. Kiwi Taika Waititi (Thor: Ragnarok) and Dope's Rick Famuyiwa were also among the first directors to be announced. Production on the first Star Wars live-action streaming series has begun! After the stories of Jango and Boba Fett, another warrior emerges in the Star Wars universe. The Mandalorian is set after the fall of the Empire and before the emergence of the First Order. We follow the travails of a lone gunfighter in the outer reaches of the galaxy far from the authority of the New Republic.